The NOHrD TriaTrainer is a functional 3-in-1 training machine of minimalist design: abs machine, back machine, weight bench. 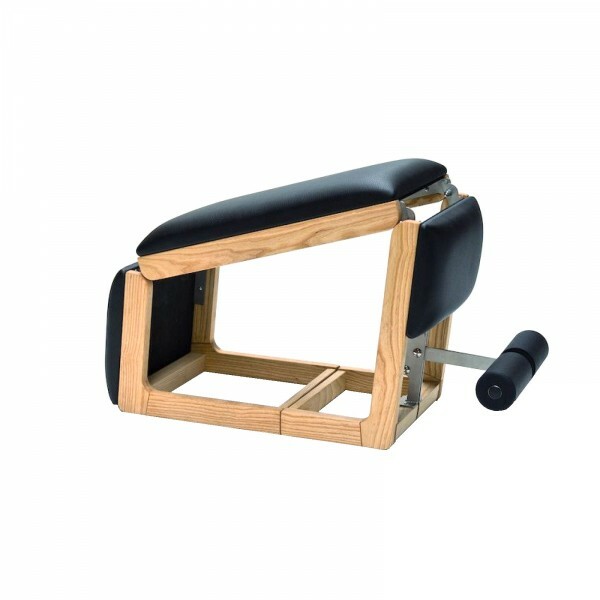 Small but great, the functional NOHrD TriaTrainer works in closed position as classic abs machine. One level more open, the training bench is transformed into a back and gluteal muscle machine. Being completely fold out, the NOHrD TriaTrainer is a bench for weight training - the integrated foot roller can be adjusted in all positions for an optimal resistance. The stable rest can be fixed at different heights, so that the NOHrD abs/back machine TriaTrainer is suitable for tall and small persons. The frame of the NOHrD abs/back machine TriaTrainer is made of solid wood. Different wood versions are available. High-quality, comfortable leather upholsteries are the contact surfaces. These are either made of synthetic or genuine leather.